three hybrids E. cv Grayswood, E. cv Nymansay and E cv Rostrevor. Veitch's Nursery in 1859. It is hardy and flowers freely in July and August .Evergreen in the wild it is not very common as it is difficult to propagate successfully and is becoming rare in Chile. 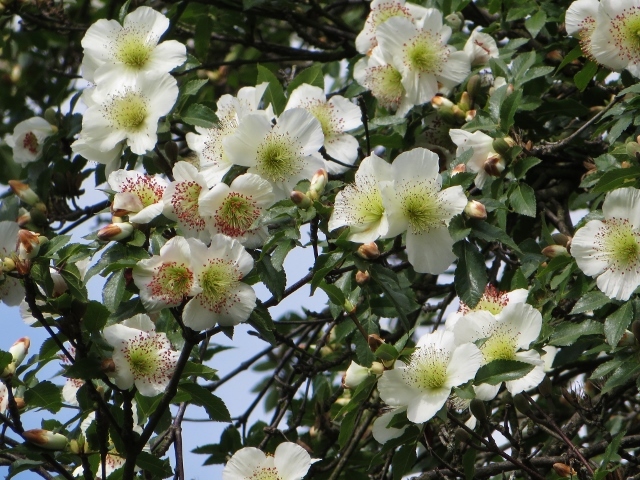 Eucryphia cordifolia was introduced in 1851 and is a native of the rain forests of Chile. 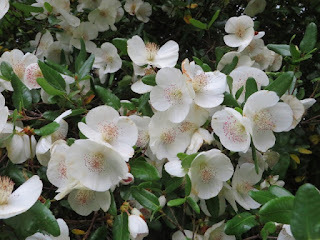 It is only hardy in the southern counties and is grown most successfully in the west country. (E. cordifolia and E. glutinosa) and was raised by James Comber, Head Gardener at Nymans. Eucryphia x intermedia 'Rostrevor' a hybrid between (E.glutinosa and E. lucida) a free flowering small tree raised at Rostrevor in Northern Ireland. 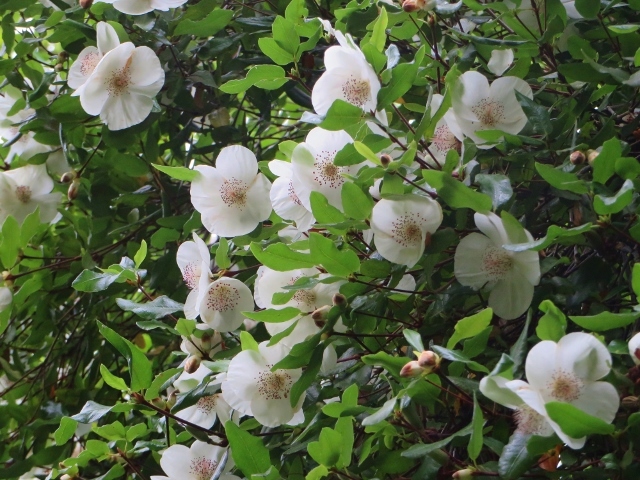 'Grayswood' is similar.